It was very nice to be back in Odessa after 3 years away. A lot was the same, but a lot had changed as well. We checked into our hotel, but unfortunately the great deal we found was not quite up to the standards we expected. Nevertheless we decided to stay and pushed the two single beds together. We went out by ourselves to get a drink and dinner around 8:45 pm. We went to Fanconi in hopes of getting one of their awesome strawberry daiquiris only to find out that it was new owners, with a new menu, and no more daiquiris 🙁 We found something to eat & drink and had an early night. The next day we tried the free breakfast at the hotel and weren’t particularly fond of it. 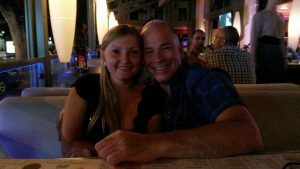 We walked around a bit then settled into Kompot for coffee and snacks while I did a few hours work from my laptop. In the evening we met up with with Elena in City Gardens for dinner and we drank various cocktails as well as trying the Hookah. We were waiting for Mike to join us after the Football (soccer) game was over but in the end we were tired and went back to the hotel before he arrived. The next morning we again tried the free breakfast and decided not to do it anymore. 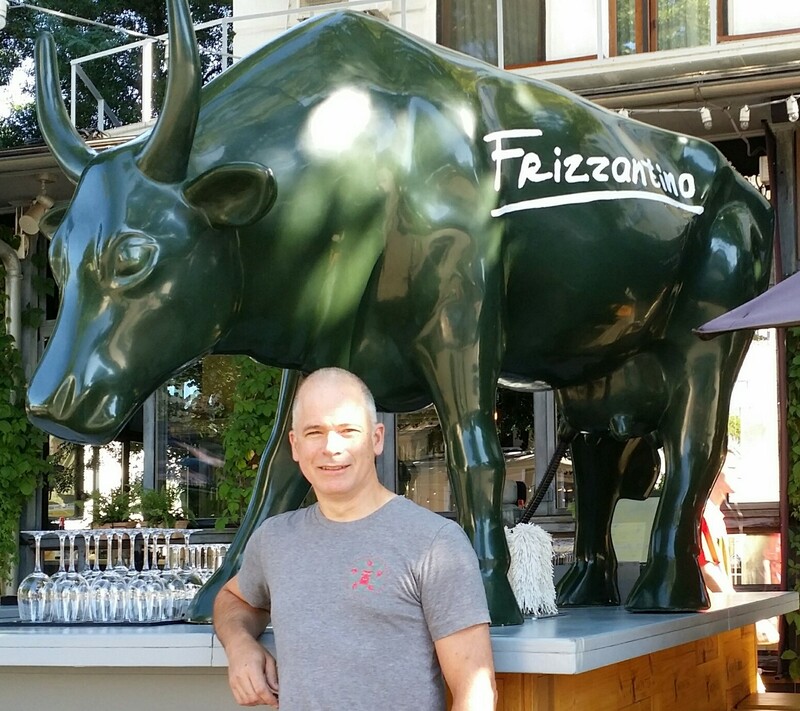 We walked around again and I took the required photo of me in front of the bull at the Steak House restaurant. The bull there is re-painted many times a year to match the season / holiday, so it is always interesting to see what it looks like when you arrive. However, this is the first time it was mounted up on the bar. 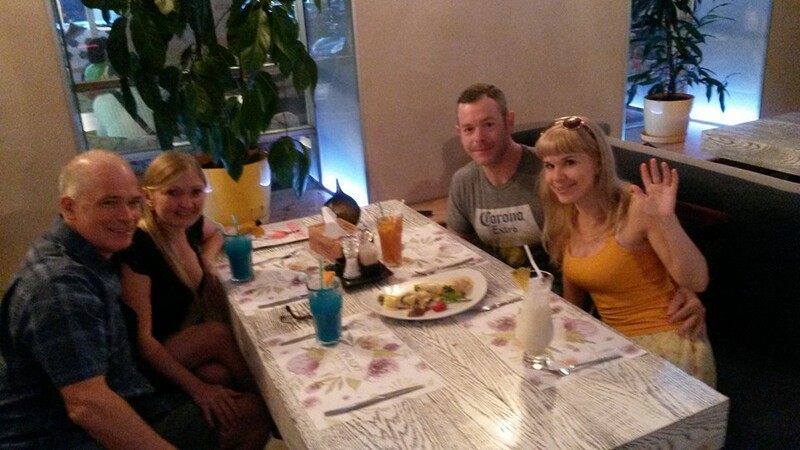 At lunch we had a shawarma and met up with Mike at Kompot. We talked with Mike for an hour and agreed to meet up later for dinner. We met up with Elena near Central Gardens and waited for Mike to join us around 8:15 pm. We then walked to a restaurant where a couple other guys joined us for dinner as well. Was great to see old friends again. The next morning we skipped the free breakfast and went to Kompot. After that we checked out of the hotel and took a taxi to the bus station. Another 4 hour bus ride back to Kherson.